Local school children will enjoy an exciting day of story-making and illustration at the ShoutSouth! festival held at London South Bank University (LSBU). Over 100 school children from Lambeth, Wandsworth and Hounslow will get the chance to unlock their creative talent at the ShoutSouth! festival of creative writing hosted by London South Bank University (LSBU). ShoutSouth! is a three day learning festival which celebrates story-making for children and young people in London. The festival first took place in 2010 and is developed and delivered by London-based organization, Children's Writers and Illustrators of South London (CWISL). At this years' festival – taking place on 11-13 June – pupils from 10 schools in London will join successful authors and illustrators for a range of fun workshops aiming to open up the world of creative writing in a fun and interesting way. The first day will kick start with a series of warm up events at local libraries where students will meet with the CWISL authors. Students will have the chance to find out more about the upcoming event activities and will be encouraged to join their local library. On the second day, students will take part in a storytelling session by author Margaret Bateson-Hill. Students will learn how to construct a captivating and memorable story, followed by a series of interactive team building activities. During the festival, the teams will experience the full challenges and pleasures of storytelling. From developing the initial spark, playing with words and illustration to thinking about the plot, characters and even body language. Celebrating each other's work will play a large part of the festival, so participants will be encouraged to display their illustrations and stories across the festival space for everyone to see. The action packed event will end with an award ceremony on the Saturday afternoon – with the students' parents present – where the pupils will be given individual prizes for their participation at the festival. 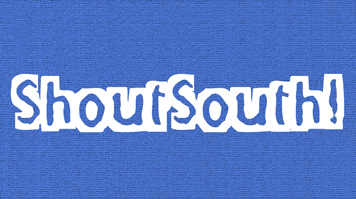 Sarah Gordon, Head of Outreach and Engagement at LSBU, said: "We are delighted to be hosting the ShoutSouth! festival for the third year running. The festival is a fantastic way to educate local school children about the art of illustration and creative writing, and we are proud to be able to support such a great initiative. "Supporting our local communities is central to our ethos as a civic university and we welcome initiatives which allow students to develop their creativity and learn from experts. We hope the students enjoy the festival and hope that this is the beginning of a lifelong love creative writing and the arts."